I’ve got a pretty rad giveaway for you guys today! You know that I’m a fan of glucosamine supplements. I used to give Teton a supplement from Trader Joe’s but a few years ago we switched to Zuke’s Hip Action and then more recently to Cloud Star’s Dynamo Dog Hip & Joint (no review on that one yet but we’ve been pleased thus far!). 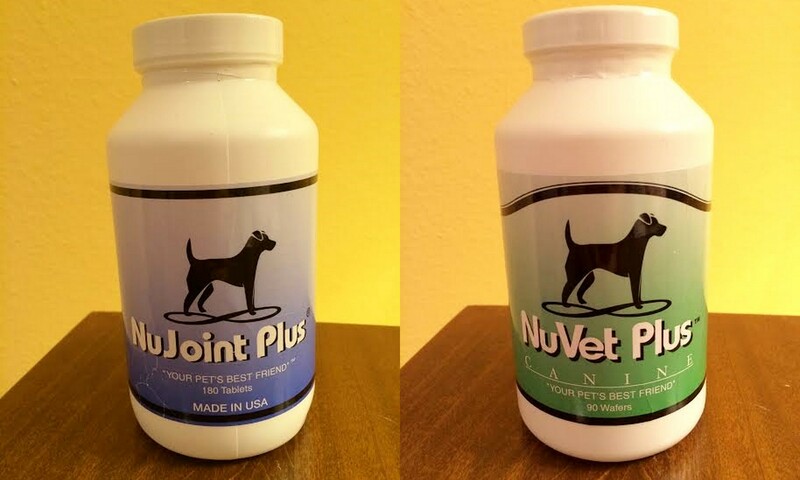 NuVet Labs is a company dedicated to manufacturing the best canine and feline nutritional supplements on the market so I was excited to be contacted by them to host this giveaway. A couple of weeks ago, NuVet Labs sent me their NuJoint Plus formula for Teton to test. 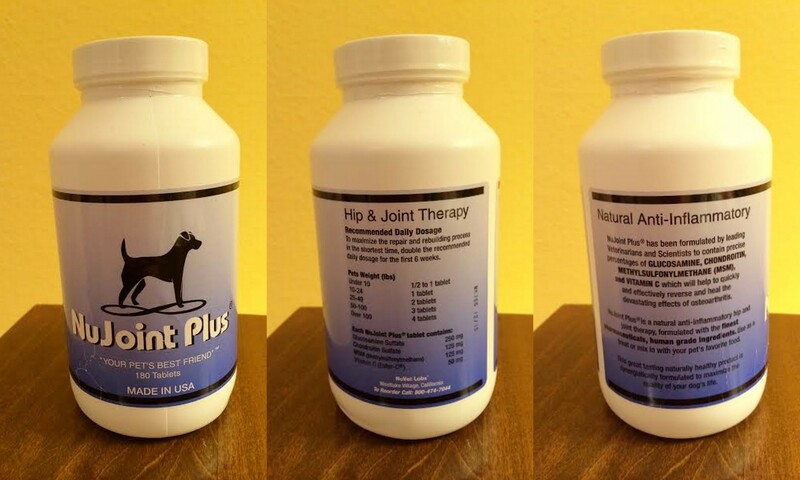 NuJoint Plus boasts a makeup of 250 mg of glucosamine and 125 mg of chondroitin and is flavored with chicken liver. Oh, yeah. Chicken liver. This is what Teton did the first time I opened the bottle. 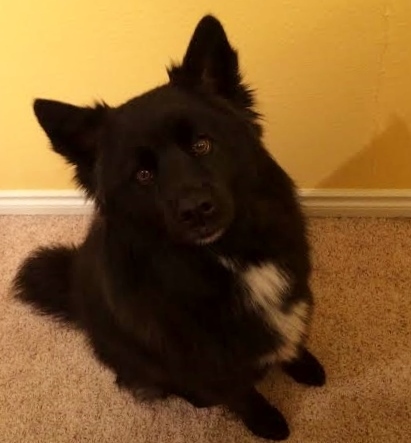 Teton isn’t a very large dog at 42 lbs, but he’s pretty active and the way I see it, why not at least try to prevent joint problems if there are tons of great options out there to do so? With any supplement, I tend to be cautious at first and I’m sure to do lots of research before giving it to my little guy. I researched NuJoint thoroughly and was pleased to read that they manufacture their products in a human-grade pharmaceutical laboratory with human-grade ingredients. they also offer a 60-day, 100% satisfaction guarantee. Love that! 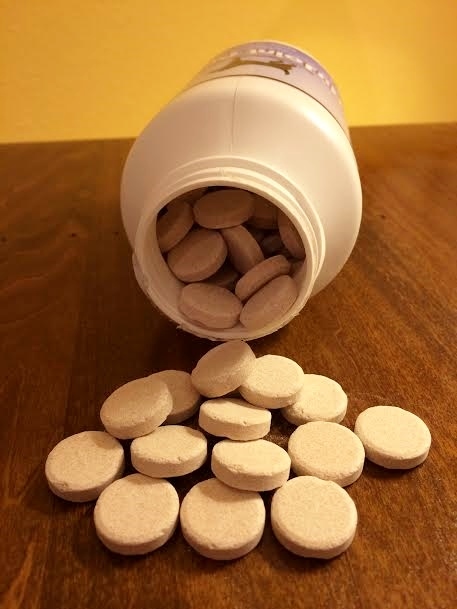 NuVet Labs was kind enough to send one bottle of their NuJoint Plus and an additional bottle of their NuVet Plus multivitamin for one lucky reader! Check out the deets on their NuVet Plus multivitamin by clicking here. This little bundle of goodness is valued at a $111 retail. To enter the NuVet Labs giveaway, leave a comment below describing your dog’s favorite exercise. Does your dog go for long runs with you? Do you have a skateboarding bulldog? Anyone else have a dog that loves snowshoeing with them like Teton does? For a second entry, “Like” Her Dog Blog on Facebook and leave a second separate comment letting me know. This giveaway (open to US residents only) will close next Sunday, 3/30, at midnight. I’ll randomly select a winner this weekend. Thanks to NuVet Labs for sponsoring this giveaway. As with all sponsored giveaways and reviews, I received this product free of charge. All opinions are my own. Good luck and happy tails! Posted on March 23, 2014 March 30, 2014 by Shannon	This entry was posted in Medicine Cabinet. Bookmark the permalink. Cooper, the 3 year old… 80lb chocolate lab, tore his “ACL” before he was even a year old. I took him to get the surgery once his growth plates were fully developed. Due to lack of money I chose the cheaper of the places to perform the surgery. While the surgery was somewhat successful, in the sense that Cooper is able to walk, the surgery was not done properly and Cooper now has part of a metal plate protruding against his leg. He has early stages of arthritis and we have tried numerous storms to make his life comfortable and happy. While or regular vet does provide Cooper with a pain pill prescription I really try to only give them to him when we do something big, like the dog park. Yes that is a big event for Cooper. The dog park is Coopers heaven. He would be perfectly fine with me leaving him there all day. He loves the smells, dogs, fresh air, and people. My hope for Cooper is to make the short live he gets here in earth as comfortable as possible!! Henley P. gets a half mile walk every morning and a 2.25 mile walk in the afternoons, weather depending! My dog’s favorite exercise is playing combo tug/fetch. She gets a few good shakes and tugs before she has to drop the toy so it can be thrown again.